Some customers used to have lots of small colour printers dotted around your offices. Colour prints can then cost from 6 to 20 pence per sheet. Other customers only allow their people to print black & white on local printers. Their people print colour copies on a centrally located Riso printer, and usually achieve the best savings. Quite a few customers use our Print Management Software. Anyone can print the odd colour copy locally, and use the Riso for volume printing. Some customers print a glossy cover with an external printer. Then they use their Riso finisher to bind the glossy cover with the Riso printed pages into a booklet. For even higher quality, some customers purchase Riso paper which produces an even better finish with Riso inks. Worst practice is to accept an additional “free” copier. 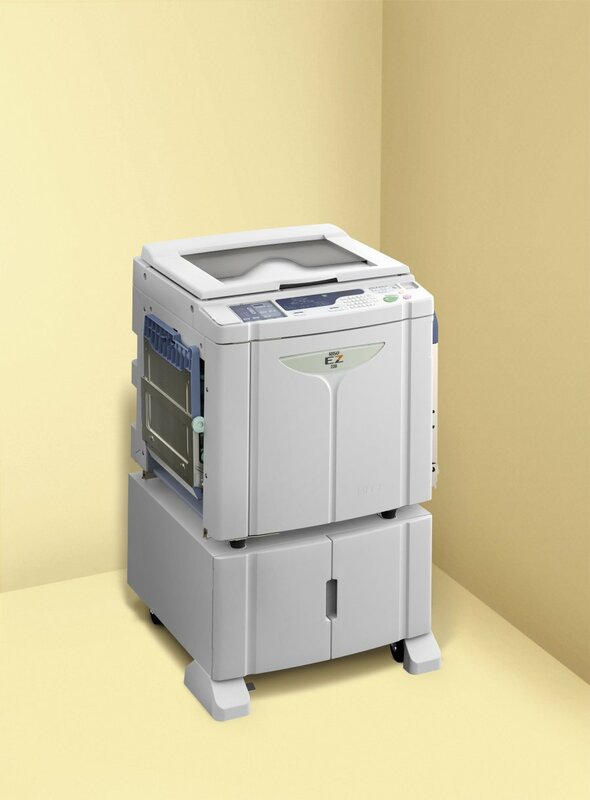 Competitors often offer a “free” copier just before your rental agreement expires. They may suggest, for instance, that the original agreement was for 10,000 copies a month, and you’re doing 20,000 monthly copies. This costs you money. There is no such thing as a “free” copier. After 3 years you’ve paid for your copier. A “free” copier means starting a new rental agreement. You’re now tied to the wrong copier, and expensive inks for even longer. We work differently: Our inks are low-cost. Admittedly, our monthly rental costs are slightly higher. When your 3 to 5 year agreement expires, our customers can keep their printer and switch to a low-cost maintenance and service agreement. Many Camri customers now pay us for maintenance and service, and just purchase low-cost inks, enjoying even lower cost printing. Cost: Around 0.4 pence per sheet.